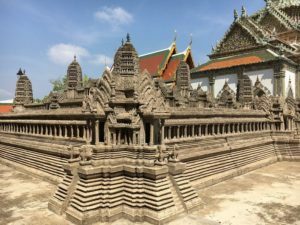 If you are planning a trip to Thai islands and you cannot decide which one to choose, I recently spent some time on both Koh Tao and Koh Samui islands in the Gulf of Thailand. 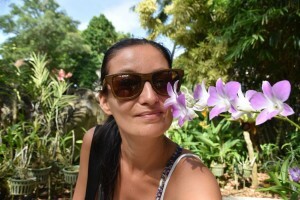 11 days on Koh Tao were enough to fall in love with the island, and then 5 days on Koh Samui gave me at least the basic idea about it, too. 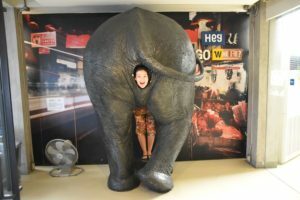 Back in 2011, I also spent a couple of days on Koh Samui. So altogether it’s the same time on both islands. 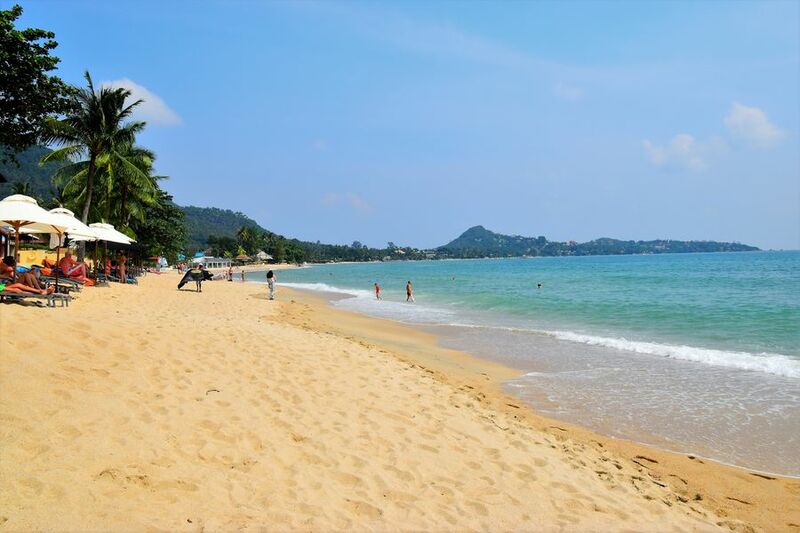 TIP: If you are in the area, check out Koh Phangan as well. I was blown away by it already in 2011.
smaller in size – you could ride on a scooter around the whole island rather quickly, if not for the bad roads. Koh Tao is just 21 square km in size. rocky coast – if you ever see some photos from Koh Tao, it’s or its coasts with massive rocks, or Koh Nanguyan island with it famous sand bar not far from Koh Tao. 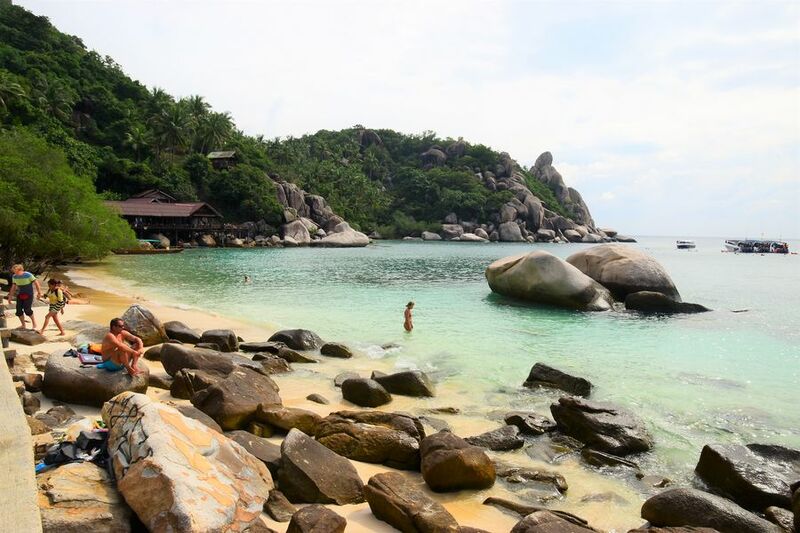 less busy, more quiet – if you prefer less people and more chilled out atmosphere, then choose Koh Tao over Koh Samui. 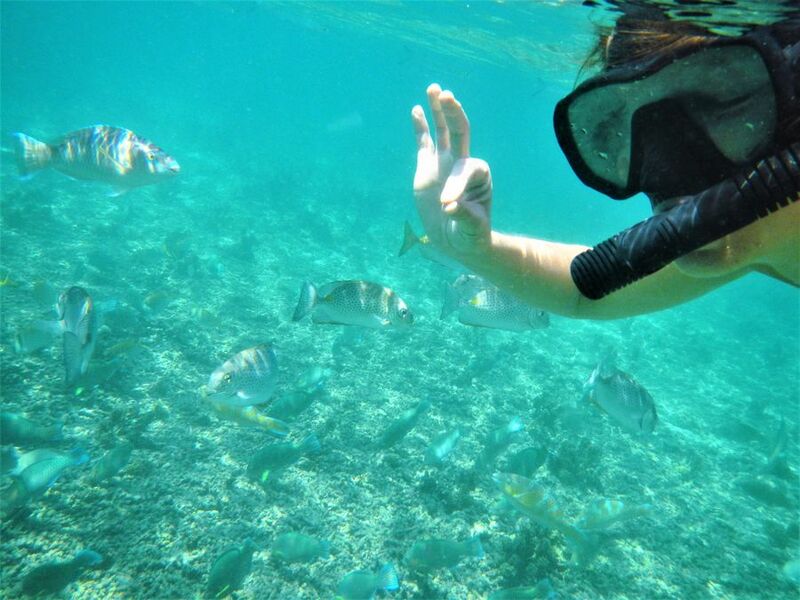 great for diving and snorkeling – Koh Tao, the turtle island, is mostly known world-wide for its great diving sites which is also the main reason why many travelers visit. It was what convinced my dad to go there for the first time as well. 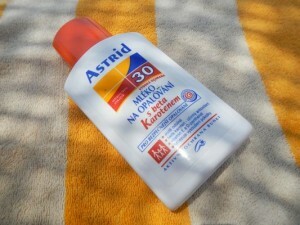 Then with me he went for the second time but we did not dive, only snorkeled at the awesome Freedom beach. 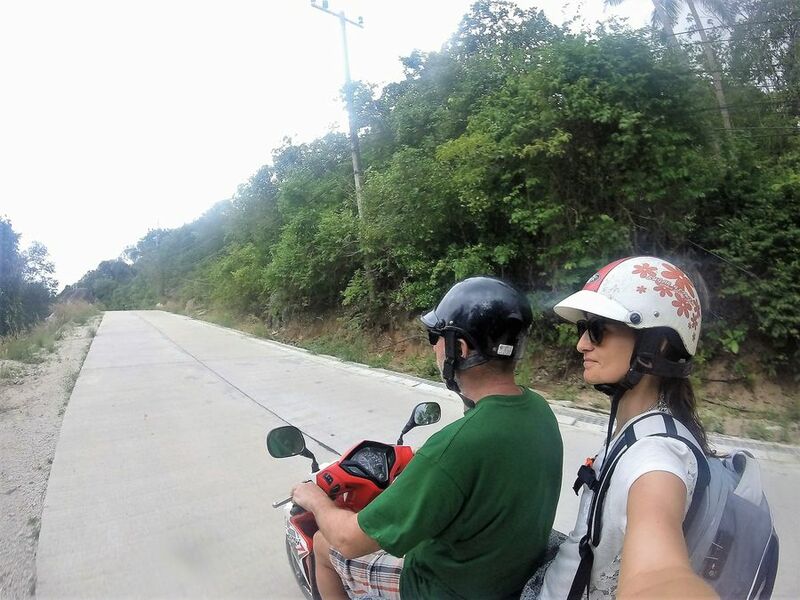 smaller scooters for renting – on Koh Tao you can mostly rent just a small 50 cc or 125 cc scooters. Nothing bigger. Because of the hills, with dad we rented a 125 cc scooter for a day. On other days we were fine with just getting our daily steps around the island (I use Fitbit Charge 2 to monitor my daily steps). worse hilly and steep roads. Not all island roads are fully paved so please be careful when driving/riding as many tourists/travelers get injured in accidents. dogs on the streets don’t care at all if you pass by, they do not usually move at all. This is a funny thing but both me and dad noticed it straight away. It won’t help you decide which island you should visit, but it’s just an odd detail we had to laugh at once we observed the Koh Samui dogs. 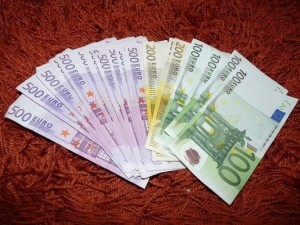 nicer longer beaches with white sand and crystal clear water – some beaches are even a couple of kilometres long. I believe the Chaweng beach, were I spent 3 days, is 7 km long which makes it a great afternoon walking spot. more crowded – around the Chaweng beach it was so busy in the morning, and mostly in the evening at sunset and after it, that there were even traffic jams! 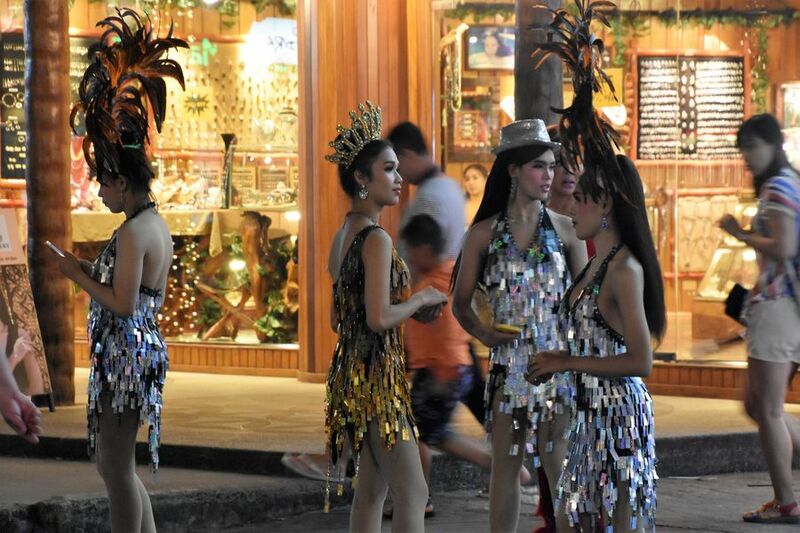 And as well, to walk along the Chaweng street could be a challenge at times with many tourists around. some waterfalls around the island – if you enjoy hiking in the nature, waterfalls on Samui are a good place to visit. Especially after rainy season when there’s more water in the waterfalls. 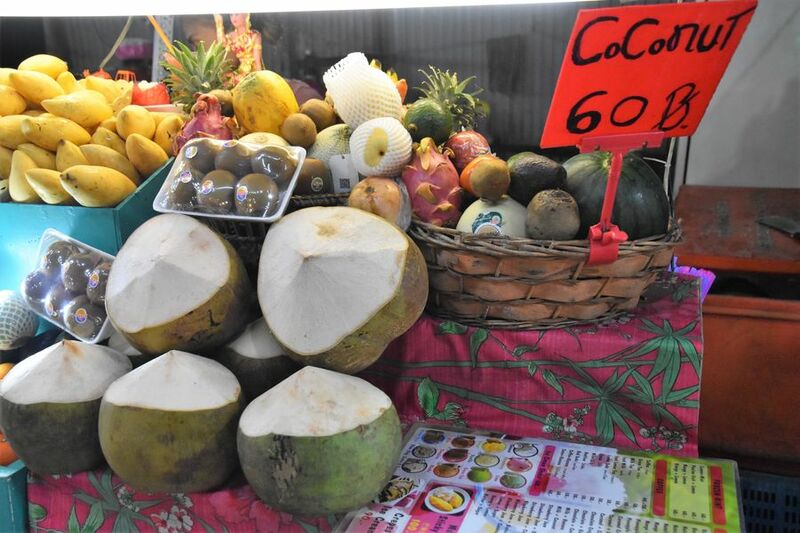 more fruit and young coconut stalls on the streets – I loved this fact on Koh Samui so much! 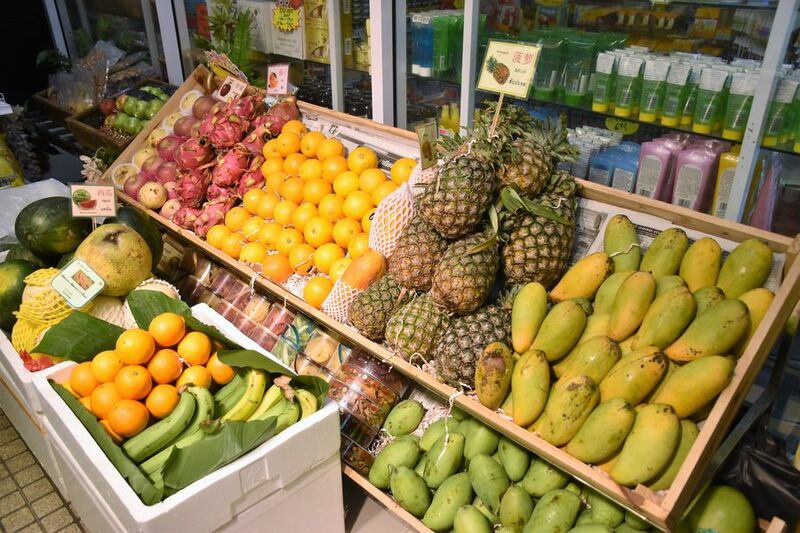 Unfortunately, the fruit was overpriced in Chaweng and it was difficult, yet not impossible, to find a coconut and fresh fruit for a normal price. 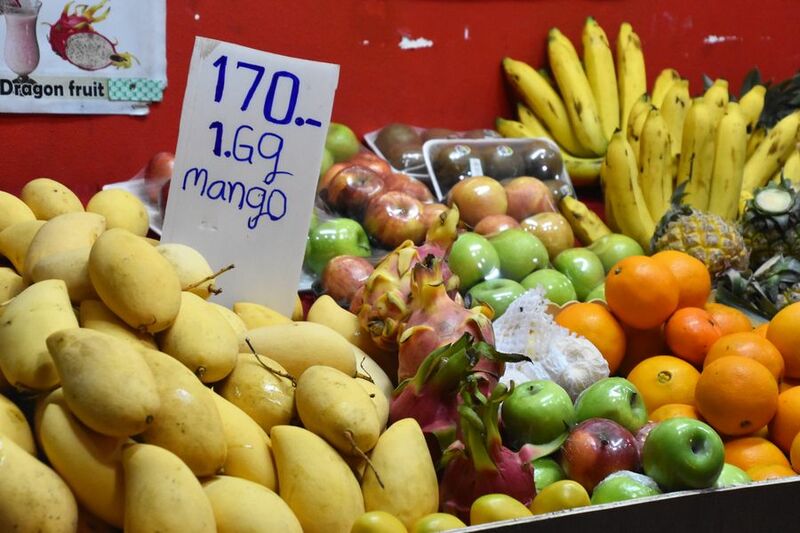 By normal price I mean a coconut for 50 baht, and for example mango for 80 or less per 1 kilogram. 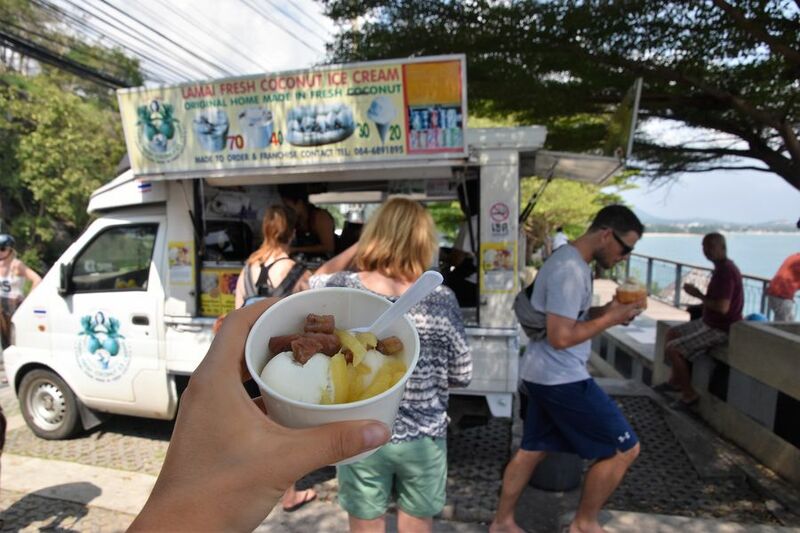 many pancake and coconut ice cream stalls around – vs. very few of them were found on Koh Tao. 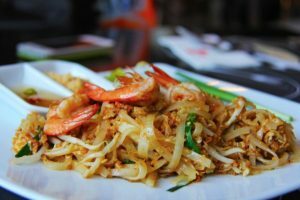 more bars and cabarets – some parts of Koh Samui are full of different bars and pubs. There are some on Koh Tao, too, but very little compared to Samui. Samui is more of a party and night life place and it’s also a lot bigger than Tao so it’s logical there’s more bars there. many Chinese tourists – as we visited during the Chinese New Year, hotels were full of Chinese guests, mostly families and some couples. 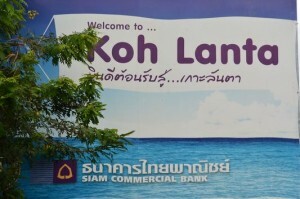 While we saw just 2 Chinese families on Koh Tao, Samui looked like a Chinese island. loads of different water activities – parasailing, jet ski, fly boarding, water banana, kitesurfing etc. dogs look up at you, some even straight into your eyes – you see the cute thing that made us laugh all the time? Each dog would always turn his head when we walked by and look right into our face.